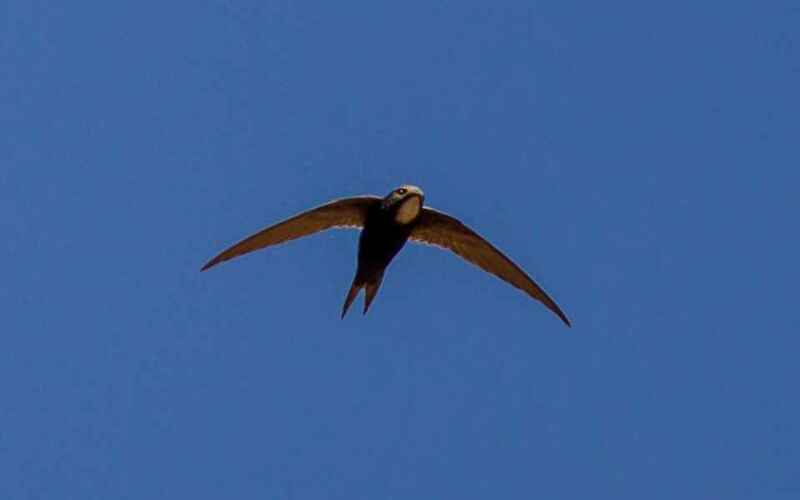 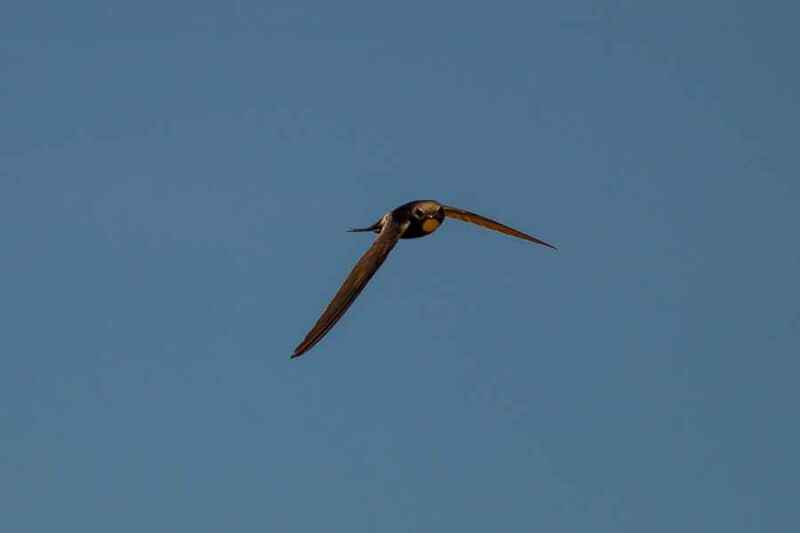 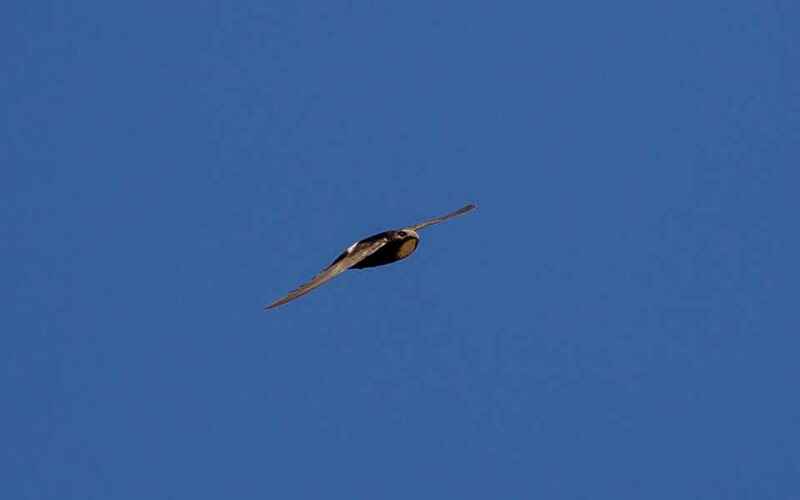 A small Swift with a prominent white chin and rump and deeply forked tail that arrives in May and leaves in October. 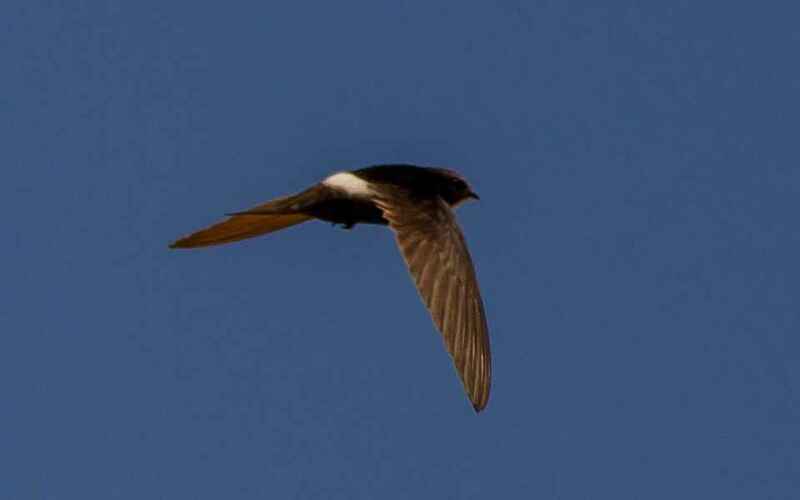 With a large global population this is a surprisingly rare species in the Western Palearctic as the vast majority spend their whole life south of the Sahara. 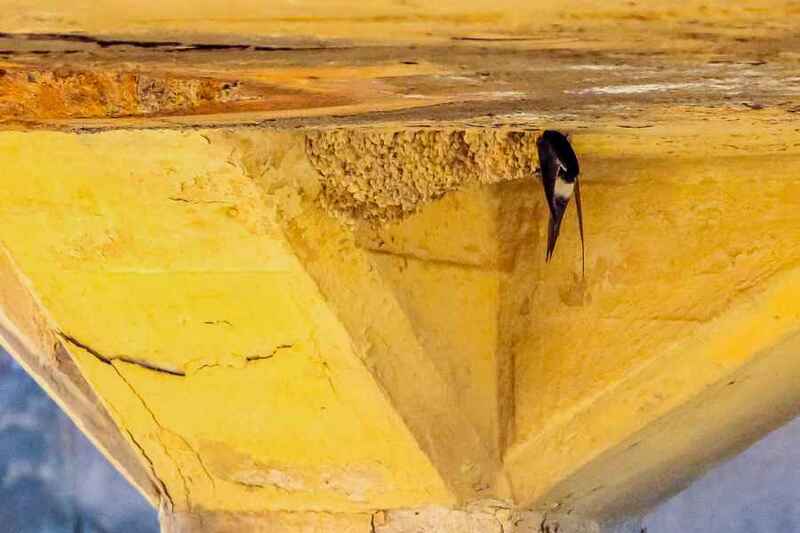 However there are a few, very few, who fly north to breed in Morocco, Spain and Portugal, and of these Portugal has the smallest population, perhaps as few as 10 pairs. 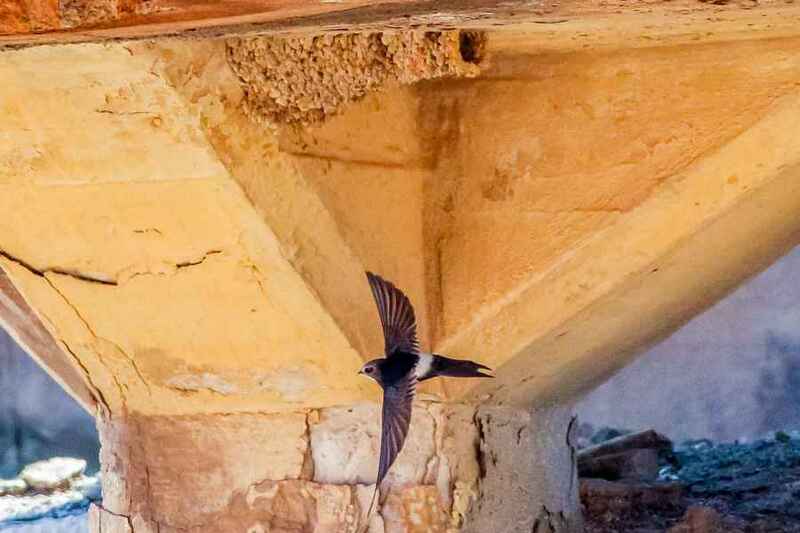 Having said that White-rumped Swifts are normally site specific and, having chosen a nesting site, are faithful to that area for many years so, while rare, can be found with some ease. 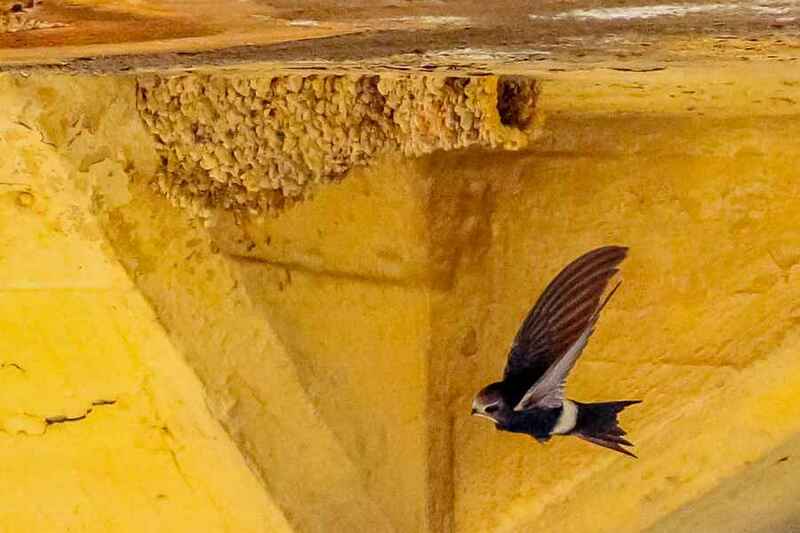 They breed in this country by ejecting Red-rumped Swallows and taking over their nests.